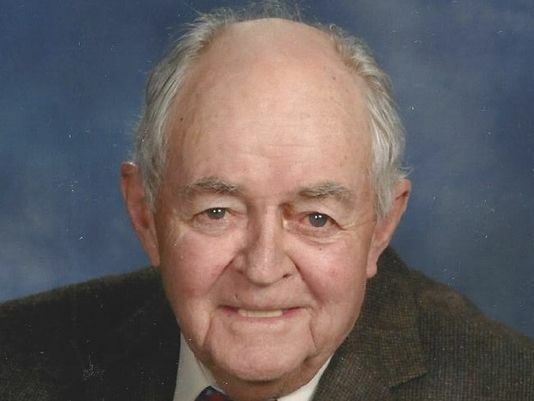 Bernie Corrigan, a Brighton business owner since 1958 and one of the community's most avid supporters, died suddenly Sunday at his Brighton Township home. He was 83. Corrigan, founder of Corrigan Oil Company, is described as a "true entrepreneur" by Pam McConeghy, director of the Greater Brighton Area Chamber of Commerce. He went to work as usual on Saturday morning, according to Tim Corrigan, one of his two sons. "He was still working every day," Tim Corrigan said. "He'd go in every morning, and he would be done about noon, and he and my mom would be out three for four nights a week," either with friends, at fundraisers or taking part in other activities. The family business began with a gas station on Grand River Avenue, opened by Corrigan after he returned home from serving in the Korean War. "It was a small town, and I thought there was some opportunity, so that's why I went into business here," he told a reporter in 2004. Viewing and Visitation with the family - Tuesday, January 17th at 2-4 and 6-8 pm. Internment will follow the service at Fairview Cemetery on Flint Road in Brighton, followed by a luncheon at Crystal Gardens.